I know there are already a lot of great tower card ideas in the forum. If you think that your idea would fit in that darkness tier, please add a comment to this post, with a link to your forum post. In one week I will collect all submissions and start a poll with ALL ideas submitted, so we can vote! New ideas are welcome as well! This entry was posted in Challenge on July 29, 2014 by Andy. Hunger! – Attack is set at 1.5 if not Eating a unit. Feast – The gorger will Grab the nearest NON BOSS unit and begin to consume it granting him Engorged. Dealing 20% of the creeps life per second. 10% Life per second at 15/30/45. Engorged – While consuming the unit the Gorgers attack speed is reduced to 3. Gains 20% damage Per unit consumed. See Prison (tower 2) for demon stats. Possession – The cultist goes into a demonic rage for 10 seconds gaining 500% damage 100% attack speed but losing 100% crit chance. 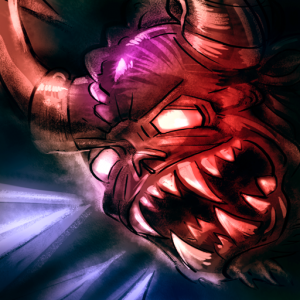 Imprisonment- the demon will start at 10% of the prisons damage and attack speed of 2 And lasting for 10 seconds. +1 second every 9 levels. For each Demon the cultist summons the prison gets stronger allowing the cultist to summon stronger demons. Each demon will be 10% stronger in damage (capping at 100% damage) and attack 10% faster (no cap). Hell on Mazebert! – there is a 1% chance (not effected by luck items) That the demon summoned is one the average demons fear. Due to its power it will only last for 1 Attack (+1 attack at lvl 50/90) His attack will destroy All monsters on screen. Lose 10% of your health, Flesh Reaver permanently gains 25% Attack Speed, 25% Damage, 25% Critical Damage. Ability recharges once Illusionist has defeated 100 creeps. This isnt really a suggestion so much as a tweak for miss jilly and knupheraxe or whatever. In you td any mass related abilities worked on mass challenge so please give them that buff !! I have thought of more stuff while playing but can’t remember right now. Maybe allow us to merge unique towers into a unique item or potion? Other than that I hope the game gets more stable its crashed my phone a few times and drains battery very quickly. Thank you fot making it I love it! Lets get more interestibg items in! Resolve- just as a creep is about to die it is place under a curse causing it to explode dealing damage (the black priest’s damage). Creeps passing through the corpse gets its armor reduced by 7% and takes 4% additional damage. Each corpse last for 7seconds after it dies. Armor and dmg amplification stacks as to how many corpse it passes through and the debuff last for 5seconds. Passing through a corpse refreshes the debuff. like instead of just cursing every creep that’s about to dies (would be some programming to make it if mobs are at x% enable tower y attack creeps) would it be an AUTO kill causing the explosion to happen and dealing the towers damage to an area ? if so all kb’s once the tower is placed would belong to said tower. So a balancing way would be have it’s curse go off his attack starting at a base attack of 5 seconds (global atk long CD) and causing the Creep to take the priests initial hit and if the creep dies then it explodes. Torment- there is a 5% that it generate 2 lesser orbs. Resolve- when attacking a creep it places a curse. If it dies within 4 sec the curse causes it to explode 1.5sec after it dies dealing the 50%(+.5% per tower level) of the priest’s damage (10% crit chance +0.1% per tower level). Creeps passing through the corpse gets its armor reduced by 7% and takes 4% additional damage. Each corpse last for 7seconds after it dies. Armor and dmg amplification stacks as to how many corpse it passes through and the debuff last for 5seconds. Passing through a corpse refreshes the debuff. *the skill’s Crit chance is not affected by luck and items nor of the tower’s crit chance. But affected by crit damage. ***I’ve reworked it. The first version has no attack speed and has higher damage. What i was thinking was it is continously applying the curse until the creep dies and the priest’s damage was only applied when the creep dies and explodes. Then there would be no way for it to gain experience and level up making it a stagnant tile. I think this is a more balance version. Thanks syotos! the revision looks much more balanced! gj!! But like the Hitman who has Highest Range at 6, which may not be global but really close with a 1-76 base damage (not highest ‘average’ base damage but highest possible dmg) has a speed of 5, Having a Global attack range with 15-25 dmg and 3 speed combined with the towers skill could become very Very potent (and a little imba) specially when you get to the point of able to just spam Waves. I would Either recommend (for balance purposes) Lowering Range to 3-5 and reducing base damage (think of the Black widow has 2 range, 1.2 speed , and 15-27 damage as a purple), l Or , decreasing the speed to 4 (or higher). @syotos: thanks again. Really forgot about the range. What i have in mind is lowering the damage to maybe 11-11 and keeping the range to a 5. The speed which i think in this setting is fair enough at 3sec. What I have in mind is that this tower takes control of an existing tower (what i refer below as host. This is kinda like a parasite) and cannot be built on an empty tile on its own. So when you click on an existing tower, instead of replacing it, this tower takes control of it. Resistance: at the start of each round there is 10% chance the host resist and breaks the Playful Spirits control losing the above attributes for 10sec. After the duration it tries to take control of its host again unabling it to move for 2sec. Genetics Lab – Blue. Grants 10% increase in experience in 2 range. If round cleared by single tower in range, that tower +5% experience. Stacks 4 times, but lost if ANY creep escapes or is killed by another tower. Potion Master – Yellow. A “dark” scientist, tower gets bolstered stats but similar to regular scientist. 1% chance every kill made by ANY type of scientist to create Mutation Potion. Mutation Potion can only be taken by Dark towers, giving perm 5% increase to luck and experience. No transmutation to higher level. Mutated Scientist – Unique. A “dark” scientist, doubles chance for Mutation Potion (if Potion Master exists). Also, 1% chance creep is devolved to a creep 20 levels lower. If 1% chance hits again, there is a 10% chance to stack. +.02% per level/+.2% per level, respectively. It is a tower that consumes other towers. It has no abilities on its own, but it instead gains the abilities of the tower it consumes. It works like potions, but you pay the cost of the tower to be consumed. It can consume two towers and one more every 12 levels. It cannot consume unique towers. Can only be summoned by posessing a tower. 3400 gold, Level 1 power= 15-20 Level 99 power= 150-350. All imps equip any equipment attached to this card. We really need three things. AoE, air specialty, and maybe not wizard life gain but a shield per round effect based on the level of a tower for a secondary effect. The shield could divide experience of the creeps that pass through to the sheild bearer. And obviously would not be that strong initially, but can scale. A damage property should be the way to go about this because of bosses and challenges, rather and a number of creeps. Damage could be placed on the tile before the goal to avoid complications. Range 1 speed N/a ATT ? I’m sorry I’m at work and bored so I’m on this challenge lol. ^——— top tower natural gender (so we can possible do a buff like shopping bag with non gender at some point) and if there is difficulties with constant damage .01 attack speed and TArget tower with splash damage. Cerberus has three heads that attack independently, and Cerberus counts as part of the wolf pack. Every time full of souls all stats boosted by 10% perm. Capacity starts at 10..so 10 kills it’s full..then increases capacity by 50%. So 10..15..22.5…33…50…75…130..etc. I like the Cerberus idea…. Wolfpack still is useless to me. Maybe this would make it playable. The game needs to be balanced away from the dominance of Shadow to go from really good to great. A pillar of dark and alien origin. StatIc charge: it is a tower of malignant energy. Each second there is no creep within its range it channels dark energies gaining 8%health shield OR 1 blast range every 60sec for a maximum of 4 stacks. Activating this ability will release the malignant energies killing every creep within its range at the same time losing the acquired health shield. After activating there is a 30 sec delay before it starts to recharge. -0.3 sec channeling time per tower level. For the glory of darkness of course! A couple ideas around the idea of dark seduction. what I do not like about the novice wizard, is that it is useless at low levels and is very good when it is at a high level. With a common card and a Novice in the Name it should be the other way round.